Natural gas produced from shale formations, commonly referred to as “shale gas”, has become increasingly important in the energy supply market for the U.S. and worldwide. Obtaining natural gas from shale reserves was not considered economically feasible until recently because of low permeability of the shale rock formations. New developments in hydraulic fracturing technology have led to a boom in domestic shale gas production since massive scale utilization in 2003. The United States has experienced economic benefits via revenue and job creation in predominantly rural areas while simultaneously increasing the energy security of the U.S. by decreasing dependence on foreign oil supplies. However, the resounding question remains: at what cost? In order to realize the implications of this question we first need to understand some basics about the hydraulic fracturing process and the uncertainties that continue to surround the shale gas industry. In this report I will primarily focus on the environmental impacts of hydraulic fracturing and well development, but it is important to realize that direct impacts on the environment can and will extend to affect human health. Hydraulic fracturing, or “fracking,” is a stimulation process used to extract natural gas, and in some cases oil, from deep shale reserves 5,000-8,000 feet below the ground surface. This process allows energy companies to access previously unavailable energy sources in states that have deep oil and gas reserves. The fracking process involves pumping a mixture of water, chemicals and sand at high pressure into a well, which fractures the surrounding rock formation and props open passages that allow natural gas to freely flow from rock fractures to the production well. Once the well is developed, the carrying fluid can then flow back to the ground surface along with the gas. Shale gas has become embroiled in controversy over alleged impacts on public health and the environment. Some segments of the public have become deeply suspicious of the veracity and motives of gas companies. These suspicions were intensified by the natural gas producers and gas field service companies initially refusing to disclose the chemical makeup of fluids used to enhance hydraulic fracturing. Many outside observers have come to opinionated conclusions that it is “likely”, “highly likely” or “definitively proven” that shale gas extraction is resulting in widespread contamination of groundwater in the U.S. However, we need to make sure we do not make conclusions based on public opinion and dig for the facts. For example, a Cornell University professor stated in a written submission to the EPA that, “shale gas development clearly has the potential to contaminate surficial groundwater with methane, as shown by the large number of incidences of explosions and contaminated wells in Pennsylvania, Wyoming, and Ohio in recent years.” and that “… shale gas development has clearly contaminated groundwater and drinking water wells with methane…”. The response from the gas industry and its supporters has generally been denial, not only that any such problems exist, but also that if they did exist they are not real risks. For example, a University of Texas professor who is a shale gas proponent told a Congressional Committee that, “the hydraulic fracturing process is safe, already well regulated by the various States,” and that, “the hysterical outcry over this process is completely unjustified”. As unsatisfying as it may be both antagonists and protagonists of shale gas development have an argument to be made. The division between the two is often spawned from a variation in definitions. In engineering terms, fracturing concerns a precise stimulation activity, limited to the fluid action in initiating and extending cracks in the rock. For the majority of the public and media fracturing has come to represent nearly every phase of the well development cycle from drilling to production. This variation in definitions is rather trivial as the public uses fracking as an umbrella term for the overall well development, but the engineering definition that limits the term fracking to the injection of the chemicals provides corporations the opportunity to deny that “fracking” itself is the root of environmental risks. It is important when debating or enacting regulations that strict definitions are put in place and adhered to. Expansion of the natural gas industry was aided by a controversial landmark study conducted by the EPA in 2004 which found that hydraulic fracturing posed no threat to underground drinking water supplies. Shortly afterwards, hydraulic fracturing was exempted from the Safe Drinking Water Act by the Bush administration in the Energy Policy Act of 2005. This notorious exemption gave corporations the ability to develop wells using hydraulic fracturing technology without releasing the chemical make-up of the carrying fluid that is injected into the earth. Chief concerns surrounding well development that utilize fracking technologies include the leakage rate of methane, the irreversible injection of chemicals deep underground, the potential impact on drinking water resources, the high consumption of freshwater resources and the generation of large volumes of wastewater. The leakage rate of methane as a result of well development is one of the most heavily debated and variable data sets involving shale gas drilling. Methane is one of the primary greenhouse gases that is contributing to global warming and is the primary greenhouse emission of shale gas drilling. According an EPA report, the production phase contributes the largest fraction of emissions. It is also the stage for which the largest changes were made from the 2012 inventory to the 2013 inventory. Within the production phase, “liquid unloading” was the largest contributor in the 2012 inventory, but shrank by more than 90 percent in the 2013 inventory. The category “completions and workovers with hydraulic fracturing” was the smallest contributor to production emissions in the 2012 inventory, but was more than quadrupled making it the largest contributor in the 2013 inventory. It is clear from the variation in data over just one year that a considerable amount of the research in this field must be considered with large potential for error. From the 2012 to 2013 inventory the EPA adjusted many of the assumptions used to estimate liquid unloading, including both the number of wells that use liquid unloading and the amount of methane emitted per unloading. An additional source of significant uncertainty in methane leakage during well production is the amount of gas that a well will produce over its lifetime, referred to as the estimated ultimate recovery (EUR). The EUR is important because the one-time methane emissions that occurs during well completion is allocated across the total expected production from the well to estimate the percentage of gas production that leaks. An appropriate average EUR to use in leakage estimates is difficult to know with confidence because few shale wells have yet operated for their full lifetime. Moreover, it is likely that EUR values for wells in different shale basins will vary by an order of magnitude or more, and wells within the same basin can be expected to have variations in EUR of 2 or 3 orders-of-magnitude. As discussed previously, in theory, during hydraulic fracturing the carrying fluid that is injected deep underground flows back to the surface with the oil. However, the fact of the matter is that only a fraction of the contaminated carrying fluid that is pumped into the ground is returned to the surface. According to a report published by the Energy Institute at the University of Texas at Austin, it is estimated that in most cases 20-80% of the carrying fluid flows back to the surface and the rest remains deep in the ground. Once again, this estimation covers an extensive margin. The carrying fluid that remains deep underground can pose a potential risk to the environment. The threat of these chemicals remaining underground is only intensified by the fact that the precise make-up of the chemical mixture is still largely unknown to the public. A primary concern that the mixture presents by remaining underground is the potential contamination of water wells. The majority of well contamination claims involve methane, chemical constituents (iron, manganese, etc.) and physical properties such as color, turbidity and odor. In many cases these properties and constituents were present in water wells before shale gas development began, but there is often insufficient pre-drilling sampling or monitoring to establish any direct impacts of drilling, fracturing and other operations. Iron and manganese are common naturally-occurring constituents in groundwater that can be particularly high in certain aquifers. Particularly in areas underlain by gas-producing shales, methane has the potential to migrate out of the shales under natural conditions and move upward through overlaying formations, including aquifers. Such naturally-occurring methane in water wells has historically been a problem in shale gas areas even before gas drilling began. However, it appears that many of the water quality changes observed in water wells in a similar time frame as shale gas operations may be due to mobilization of constituents that were already present in the wells caused by vibrations and pressure pulses in the ground during drilling and other operations. As the vibrations and pressure changes disturb the wells, accumulated particles of iron, manganese oxides and other materials on the casing wall and well bottom may become agitated into suspension causing changes in color, increasing turbidity and release of odors. None of the water well claims have been proven to involve hydraulic fracturing fluid additives. However, due to the fact that the precise chemical make-up of the fracturing fluid is still unknown the claims are incredibly difficult to support. Another significant potential for impacts from a shale gas well appears to be from failure of the well integrity, leading to leakage into an aquifer of fluids that flow upward in the annulus between the casing and the borehole. Well integrity issues resulting in leakage can be divided into two categories, annular flow and leak flow. In annular flow, fluids move up the well bore, traveling up the interface between the rock formation and cement or between the cement and the casing. Leak flow is flow in a radial direction out of the well and into the formation. In general, a loss of well integrity and associated leakage has been the greatest concern for natural gas, and has been suspected of contributing to home explosions and water well contamination. Shale gas production also raises important questions about the use of water resource allocation and how wastewater that is produced can be managed. After hydraulic fracturing has been accomplished in a shale gas well, the fluid pressure is relieved and a portion of the injected fluid returns to the well bore as “flowback” water. Flowback water is then brought to the surface for treatment, recycling, and/or disposal. The fluid withdrawn from the well actually consists of a mixture of the flowback water and saline water from the shale formation, which is referred to as “produced” water. The amount of injected fluid returned as flowback ranges widely from 20-80% due to factors that are not well understood. The ratio of ultimate water production after fracturing to the volume of fracturing fluid injected varies widely in the different shale areas. It is estimated that modern fracturing processes require an astounding 8 million gallons of water per well, accounting for 3.8 billion gallons of water used in 2012 in North Dakota alone, according to the State Water Commission. Not only does hydraulic fracturing require a large volume of water, but the water needs to be relatively high quality freshwater. While states such as Texas, Oklahoma, Arizona California and Colorado are experiencing extreme to exceptional drought conditions, the oil and gas corporations continue to use millions of gallons of freshwater for hydraulic fracturing. Regulators in charge of allocating water permits in North Dakota have clearly stated, “Our management goal is to accommodate as much development as we can on a sustainable basis. But we don’t know what that sustainable amount is.” This is another example of making important decisions involving well development and environmental consequences without valid research available. Proponents of hydraulic fracturing have claimed that although the volume of freshwater used for fracking seems high it is relatively low compared to other activities such as agriculture and public use. Although the billions of water used for fracking may make up a small percentage of total water use, the fact remains that the water is largely unusable after the fracking process and could be allocated for other essential societal needs. Greater emphasis is being placed on recycling and reuse to reduce water requirements and the volume of flowback wastewater that must be managed, but the technology is not in place for effective recycling measures to be implemented. Historically, disposal of the flowback water has been by permitted injection wells in some shale areas and by discharge to publicly-owned treatment works in others. According to a report published by the Energy Institute at the University of Texas at Austin arsenic is the chemical of greatest concern that is found in fluids related to shale gas development. Although arsenic is not uncommon in domestic water wells where no hydraulic fracturing has taken place, it has become a source of strong allegations of contamination in Texas and Pennsylvania. Increasing public awareness and concern over arsenic and other contaminants in flowback water have resulted in demands for increased regulation. Although there has been considerable controversy over hydraulic fracturing fluid additives and their potential impact on water supplies, the potential risk of naturally-occurring contaminants like arsenic in flowback and produced water is also a significant threat. Similar concern about the risk of contamination may be associated with organic chemicals in flowback and produced water that may be present in injected hydraulic fracturing fluids or in the formation water of the shale. 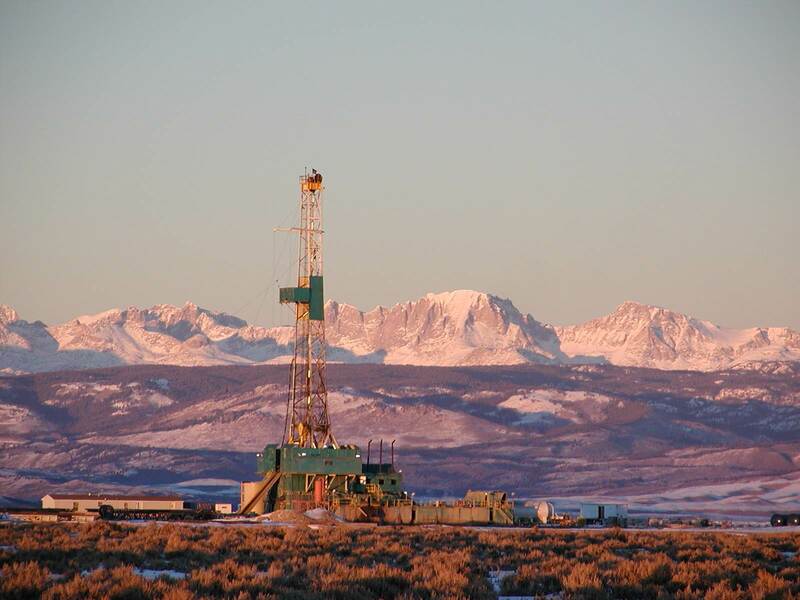 Studying the potential environmental impacts of drilling, specifically the use of hydraulic fracturing techniques, has proven particularly challenging because of significant unknown factors and an overall lack of agreement among scientists due in part to the poor quality and limited amount of publicly available data. Scientists are hopeful that recent data from a neutral study conducted by INSTAAR and funded by the NSA will be able to prove whether fugitive emissions from hydraulic fracturing have a significant impact on the environment and public health. The study has substantial potential to provide reliable data that can be used as a basis for energy policy in the near future. If managed appropriately, natural gas resources, and shale gas specifically, can be essential to the energy security of the U.S. and the world. Realization of the full benefit of this tremendous energy asset can only come about through resolution of controversies through effective policies and regulations. Fact-based regulations and policies based on sound science are crucial for achieving the twin objectives of shale gas resource availability and protection of human health and the environment. As concerned citizens and researchers learn more about the short-term dangers of hydraulic fracturing, the long-term horrors on the environment remain unknown. Groat, Charles G., PhD, and Thomas W. Grimshaw, PhD. “Fact-Based Regulation for Environmental Protection in Shale Gas Development.” Energy Institute at the University of Texas at Austin, Feb. 2012. Web. 7 June 2013. “Environmental Impact of Hydraulic Fracturing in the United States.” Wikipedia. Wikimedia Foundation, 28 May 2013. Web. 7 June 2013. Malls, Amy. “Incidents Where Hydraulic Fracturing Is a Suspected Cause of Drinking Water Contamination.” Home. Switchboard – National Resources Defense Council, 19 Dec. 2011. Web. 7 June 2013. “EPA.” ‘s Study of Hydraulic Fracturing and Its Potential Impact on Drinking Water Resources. United States Environmental Protection Agency, 24 Feb. 2010. Web. 7 June 2013. Urbina, Ian. “Pressure Limits Efforts to Police Drilling for Gas.” The New York Times. N.p., 3 Mar. 2011. Web. 9 June 2013. A Brief History of Hydraulic Fracturing.” A Brief History of Hydraulic Fracturing. Environmental Engineering & Contracting Inc., n.d. Web. 11 June 2013. Lucas, Tim. “In the Midst of a Fracking Firestorm.” Nicholas School of the Environment at Duke University. Duke University, Oct.-Nov. 2011. Web. 16 June 2013. Larson, Eric D., PhD. “Natural Gas & Climate Change.” Climate Central. N.p., May 2013. Web. 16 June 2013. National Draught Mitigation Center, National Oceanic and Atmospheric Association, and United States Department of Agriculture. “Current U.S. Draught Monitor.” University of Nebraska-Lincoln. N.p., 18 June 2013. Web. 21 June 2013. Dalrymple, Amy. “Oil Industry Used 5.4 Billion Gallons of Water in 2012.” The Jamestown Sun. N.p., 18 Mar. 2013. Web. 21 June 2013.